a 3-day-2-night intensive startup bootcamp to show college students how to kickstart a startup by “solving a problem”. 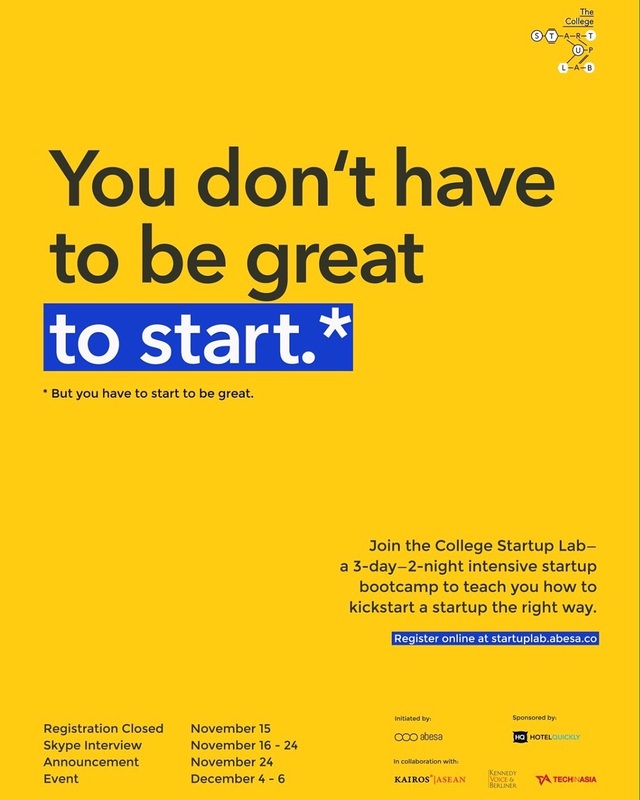 THE COLLEGE STARTUP LAB is exclusive for 30 college students. Care to find the right formula?